In the beginning of your Whole30 journey, it can be kind of overwhelming with all of the label reading, food prepping and grocery shopping. 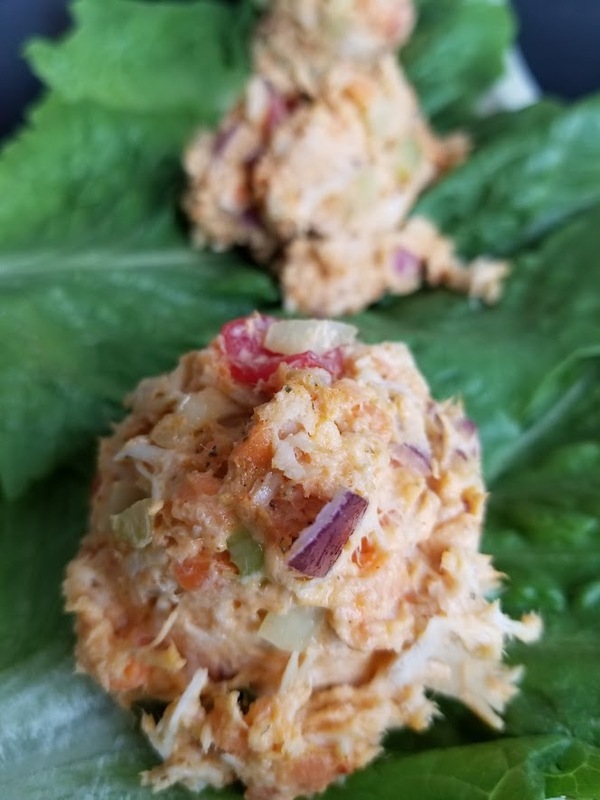 These Whole30 buffalo chicken lettuce wraps will soon become a regular on your menu plan because they are easy and delicious using leftover chicken. 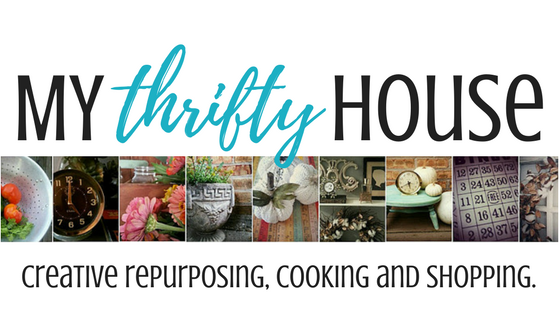 Once you become familiar with the rules and develop your food prep routine you will start to branch out and start converting your favorite recipes into Whole30 compliant recipes. One thing that I make weekly is my Whole30 roasted chicken and bone broth. I use the chicken to top my salads and I use the bone broth for soups and cooking veggies. But one day I was craving chicken salad and started experimenting different versions to try. Alas, these buffalo chicken lettuce wraps hit the spot of what I was craving and my family happened to love it too. 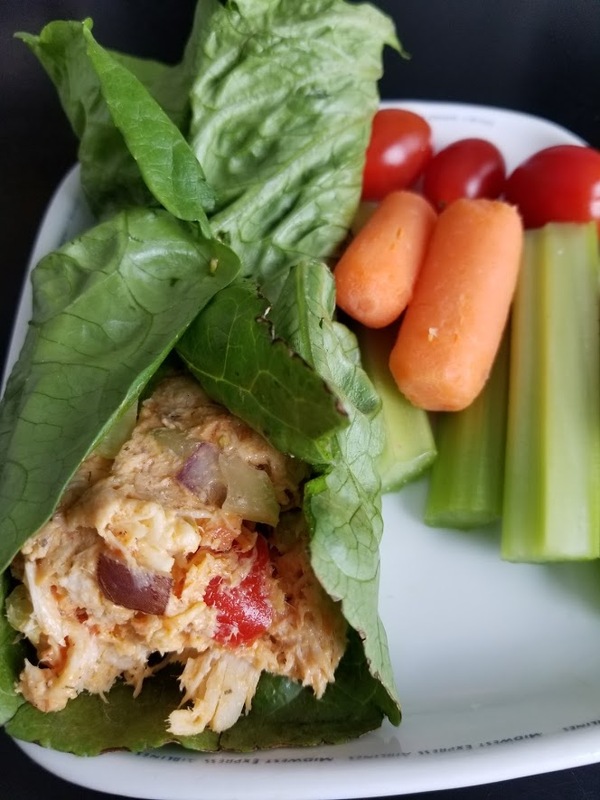 Honestly, there is no rocket science to this recipe but it sure does hit the spot when you are craving something other than a salad with your lunch. Mix all ingredients except parsley and lettuce in a bowl and refrigerate for one hour. 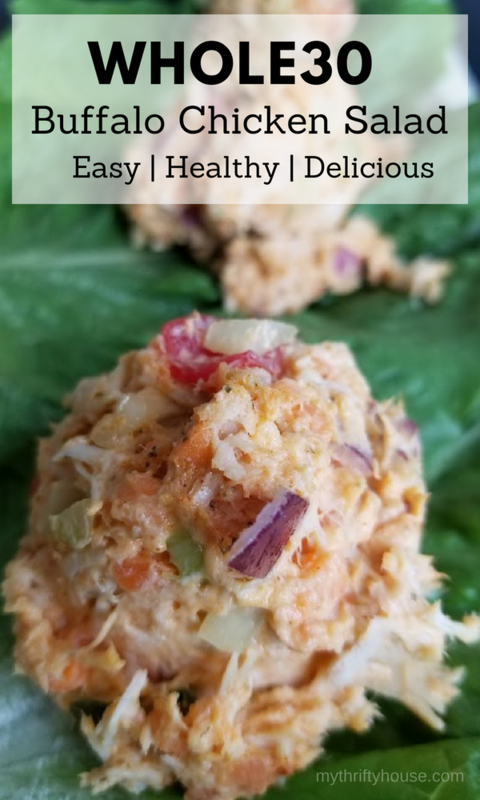 Place buffalo chicken mixture into lettuce leaves, sprinkle with parsley, wrap and eat! If you prefer, you can add a scoop to the top of a salad instead of making a wrap. Enjoy! 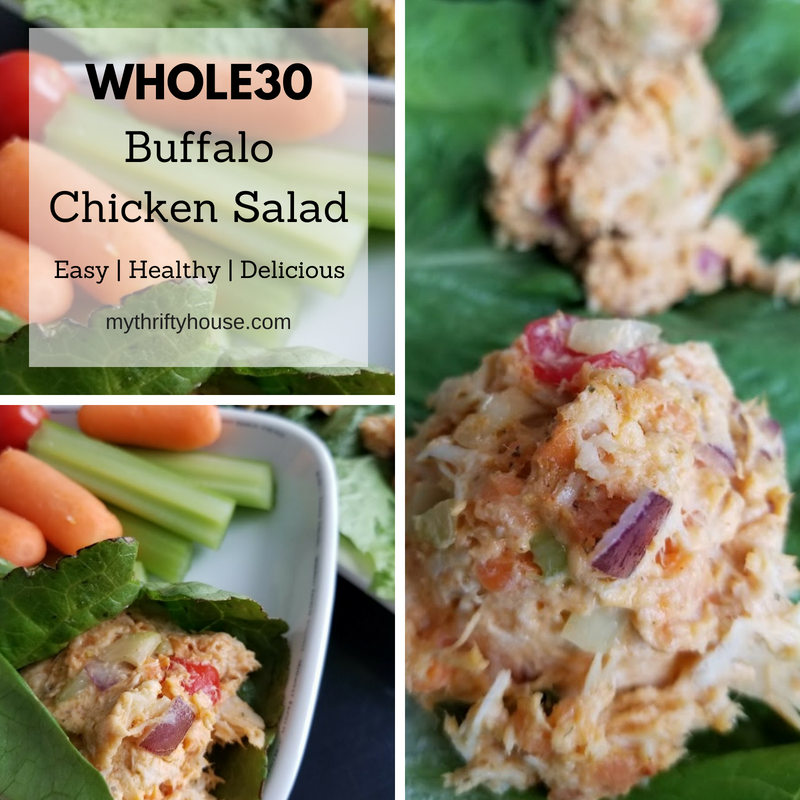 This entry was posted in Lunch Recipes, Whole30 Challenge. The whole 30 plan sounds interesting. I have been cutting carbs etc, but it’s not resulting in any weight loss. So hard after 50 to lose an ounce. This looks so yummy!! A nice light summer dish for sure! !